QuickStart Tennis is a fantastic way to introduce kids to tennis and build their interest and enthusiasm for the sport. 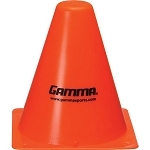 It follows the same logic as other youth sports, which use kid-sized courts and kid-sized equipment. For the 9 and 10-year age group, the court size is 60' long by 27' wide using standard height 42" net posts and net (36" high in the center). QuickStart Tennis for ages 8 and underutilizes a 36' long by 18' wide court with 36" net posts and nets (33" high in the center). 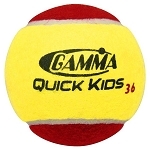 In QuickStart Tennis, balls bounce lower, don't move as fast through the air and are easier to hit, making the game more appropriate for kids 10 and under. Racquets are sized for small hands and courts are smaller and easier to cover. By using this format, the benefits are immediate and within a short time the kids are rallying, playing, and excited to keep playing. That means kids will have more fun and less frustration. They're playing real tennis and having real fun — and that’s what is most important. If you have any questions about QuickStart Tennis or any of the products we carry, feel free to contact us at Tennis Court Supply.